With the holiday season in full swing, things can get pretty crazy for the average crafter. Personally, I’m neck deep in holiday gifts, festive decor, and NYE accessories. We can’t forget the tasty recipes, too. But hey, who’s complaining? It just gives me another excuse to craft up a storm 😉 If you can steal a few hours for yourself this weekend, check out these DIY inspiration ideas. DIY: Fold, wrap, and tie a bandanna around your neck. Untie and remove it, making sure to keep the fold in place. Add iron-on studs to the front portion of the bandanna. You can also glue flat round studs. DIY: Make a super long tassel chain and top it off with a large bead cap. Attach it to a hair tie with a jump ring. Add a few stitches for extra security. DIY: Get a similar look by using fabric paint and stencils on printed fleece. Add patch letters, if you’d like. Cut the ends to create a fringe. 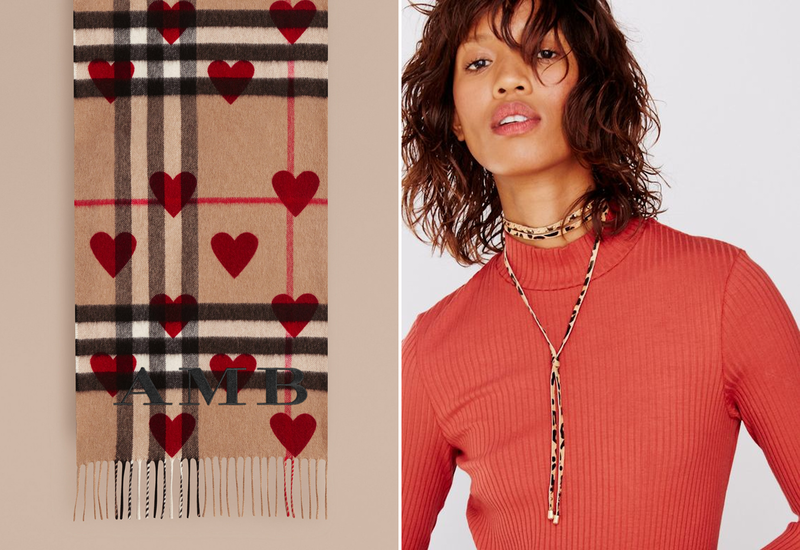 It might not be a $650 Burberry scarf, but it’ll sure be cute. DIY: Using a black Sharpie or fabric marker, draw a leopard pattern on brown suede. Check out this past project, a leopard suede bracelet, for a breakdown of the technique. Glue end caps to the ends, if you’d like. Add a few rhinestone studs. Wrap around your neck and you’re good to go. Take a peek at past DIY Inspiration posts for more crafty ideas. Happy making!